Our client in Stanway asked for a "modern, easy-to-maintain space," and we delivered. Once the design was agreed, we cleared and landscaped the garden before laying the brickwork foundation, and we then separated the garden into small, intimate sections that were worked on one at a time. 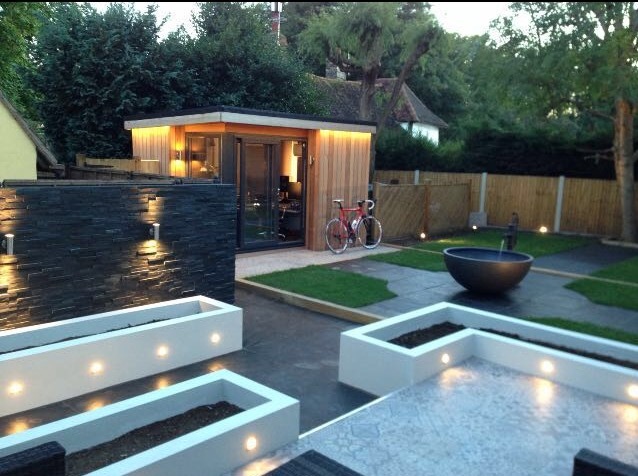 Finally, we installed lighting to give our client a tranquil garden that can be transformed into a hosting area. An outstanding piece of work, carried out by outstanding people, designed by a genius!